Nielsen SoundScan is an information and sales tracking system created by Mike Fine and Mike Shalett in 1991. SoundScan is a method of tracking sales of music and music video products throughout the United States and Canada. Data is collected weekly and made available every Sunday and every Monday to subscribers, which include record companies, publishing firms, music retailers, independent promoters, film and TV companies, and artist managers. The Nielsen SoundScan is the sales source for the Billboard music charts, making it the largest source of sales records in the music industry. The chart consists of the top 200 positions, like the U.S. Billboard 200 chart; however, Billboard publishes only the top 100 for the public. Top Heatseekers are "Breaking and Entering" music charts issued weekly by Billboard magazine. The Heatseekers Albums and the Heatseekers Songs charts were introduced by Billboard in 1991 with the purpose of highlighting the sales by new and developing musical recording artists. Albums and songs appearing on Top Heatseekers may also concurrently appear on the Billboard 200 or Billboard Hot 100. 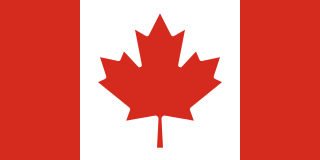 The Canadian Singles Chart is compiled by the American-based music sales tracking company, Nielsen SoundScan. The chart is compiled every Wednesday, and is published by Jam! Canoe on Thursdays. The Billboard Japan Hot 100 is a record chart in Japan. It has been compiled by Billboard Japan and Hanshin Contents Link ever since February 2008. The chart is updated every Wednesday at billboard-Japan.com (JST) and every Thursday at billboard.com (UTC). The Billboard Top Latin albums chart, published in Billboard magazine, is a record chart that features Latin music sales information. This data is compiled by Nielsen SoundScan from a sample that includes music stores, music departments at electronics and department stores, Internet sales and verifiable sales from concert venues in the United States. Latin Pop Albums is a record chart published on Billboard magazine. It features Latin music information of the Pop music genre. Established in June 1985, this chart features only full-length albums and like all album charts on Billboard, is based on sales. The information is compiled by Nielsen SoundScan from a sample that represents more than 90% of the U.S. music retail market which includes not only music stores and the music departments at electronics and department stores, but also direct-to-consumer transactions and Internet sales. A limited array of verifiable sales from concert venues is also tabulated. Reflexiones by José José was the first album to reach number-one on the chart. ↑ "Media & Entertainment". Archived from the original on 2 March 2013. ↑ "CANOE -- JAM! Music - SoundScan Charts". This article about radio broadcasting in Canada is a stub. You can help Wikipedia by expanding it.